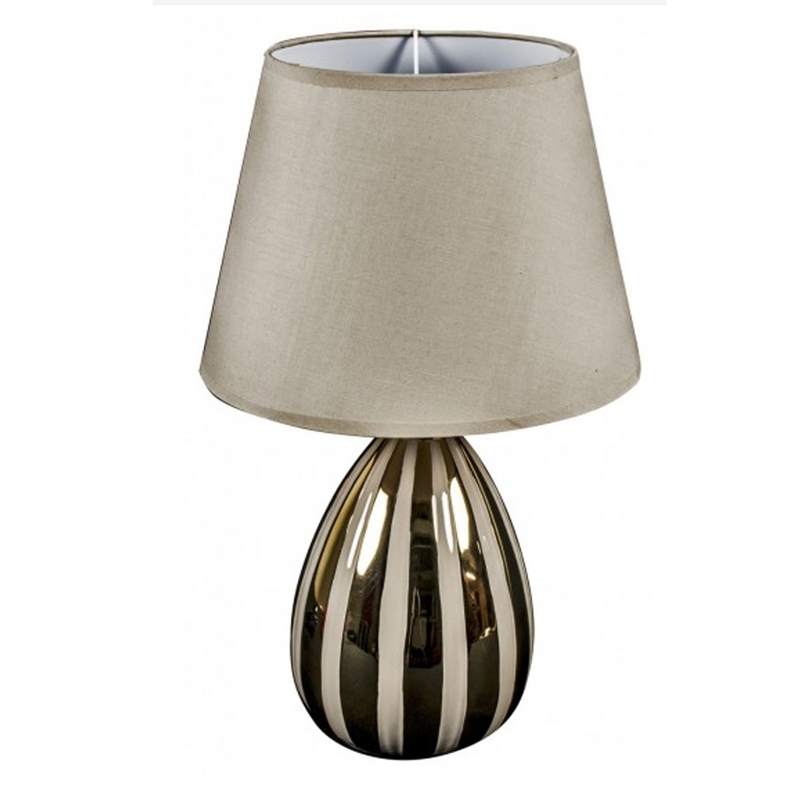 This is a gorgeous lamp with a stunning, golden striped design. It'd look absolutely gorgeous in a modern home, or it can make a regular home look a lot more modern. It has a beautiful, homely, calming colour that is definitely going to give a friendly atmosphere.